Raising Real Men » » Minding Your Own Business – Your Own Business To Mind! 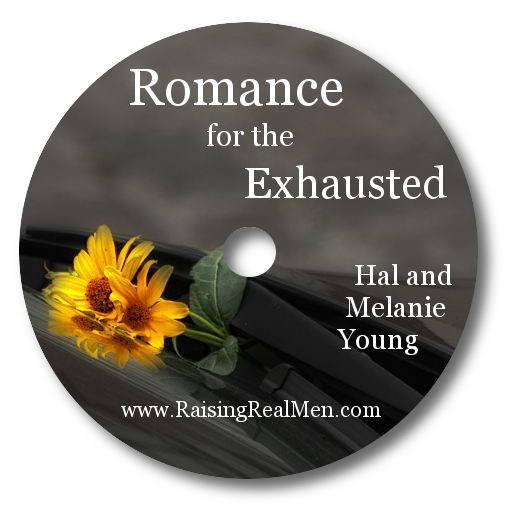 We’re celebrating the official release of Raising Real Men with freebies and contests! I grew up in an entrepreneurial family and I have to confess that when we were first married, I thought it was great that Hal went to work and then came home and was done. Over the years, though, life as an employee changed: more hours, less security, less freedom. We also grew to need more time and flexibility for ministry. Working together as a family like we did growing up looked more and more attractive, until finally a layoff gave us the extra push we needed to strike out on our own. We have come to realize that we want to cultivate an entrepreneurial spirit in our children. It would have been much easier to start a business when it was just us and fewer expenses, so we want our guys to have the courage and skills to be business men from the beginning if that’s what God wants them to do. And not just that, but the strengths of an entrepreneurial spirit: reasonable risk taking, hard work, creativity, discernment, and initiative are very valuable in most careers. 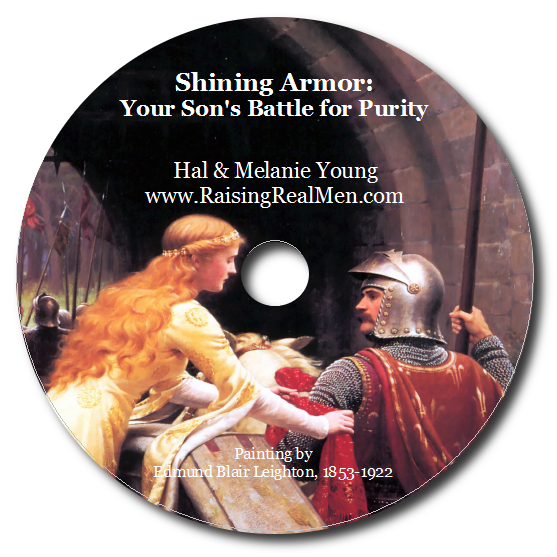 Raising Real Men talks about how to instill that spirit in your boys and how to teach them to manage money, avoid debt, and prepare for the future. Today’s resource will help you put it into practice raising boys! Teaching Good Things is hosting today’s free giveaway and it is huge! Teaching Good Things. is all about equipping families with practical skills. I had the opportunity to look through their Making and Managing Money for Teens by Olivia Brodock the other day. Talk about practical! It had tons of ideas for businesses that teens and preteens could get started. I loved that it talked about how to get started, the cost of start-up, and what was involved in running each kind of business. It is a solid, practical way to get your children thinking, then working toward starting a micro-business of their own. That micro-business may even be God’s leading toward a career. I think about a relative of mine who started a web business as a teen and is now the CEO of an industry leader in the same field. Unbelievably, Teaching Good Things has offered fans of Raising Real Men a free copy of Making and Managing Money for Teens! This eBook costs $16.97, but she is giving it to you free to celebrate our release! What a blessing! Thank you, Brodock family! Go to Teaching Good Things and Get Your Free Copy of Making and Managing Money for Teens! When you get to the cart, enter the code (it’ll be on the link above), hit update, then enter your zip code and hit update. While you are there, sign up for their newsletter to get a free 7 part mini-course called Encouraging Eager Hands! They have lots of great resources and a fascinating blog. Enjoy! You aren’t going to believe today’s contest provided by Values-Driven Family! A $93 value! Values-Driven Family, the ministry of Marc and Cindy Carrier, is all about raising our children according to the principles and values found in Scripture. Their site is chockful of free articles and help to raise a godly seed. The Carriers have generously donated a Gift Pack of premium quality Beeyoutiful vitamins for our contest. The Gift Pack, worth $93 dollars contains a three month supply of SuperDad vitamins, a three month supply of SuperMom vitamins, and a bottle of SuperKids vitamins (how long it lasts depends on how many children you have!)! We have started using these vitamins ourselves and are so thankful for them – and our children love the natural berry taste! And Values-Driven Family gives you a 15% discount off purchases of Beeyoutiful products, too. Thank you, Marc and Cindy! While you are at the Values-Driven Family site, be sure to sign up for their newsletter. I was totally amazed at the freebies they give you when you sign up! I tend to be a little jaded – we’ve been parents and homeschoolers for decades and I have more things than I will ever use, but wow! I saw quite a few things I can’t wait to download. They have charts for a daily schedule and chores and behavior, memory verse and values posters, and tons of download freebies from other publishers! How can you enter? The winner of this huge prize will be chosen exclusively from those who help us spread the word about Raising Real Men. 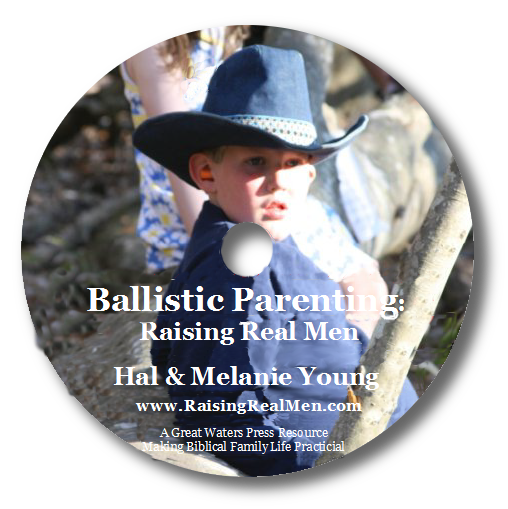 Just post about our book, Raising Real Men, or this Celebration anywhere on the web (blogs, forums, email loops, Twitter, Facebook, Digg, anywhere, with a link back to http://raisingrealmen.com and let us know in the comments. Every posting is an entry. We are hearing from all over the world (Singapore to The Netherlands!) that Raising Real Men is changing parents’ hearts toward their boys. That is our hope! We don’t have the huge advertising budget that many publishers do. You are our team. Your recommendation is the best marketing we could have, anyway! Sign up for our newsletter (new subscribers this month will be entered to win a $70 collection of workshop CDs) and fan our Facebook page to join the conversation! Hal and Melanie, I just posted this morning about your wonderful book! I am just over halfway through it and am learning so much!